There’s a lot that happened in the blockchain industry looking back on last year, one of the most notable events being the cryptocurrency battle with the brutal bear market. After having peaked at an all-time high of $19,780, Bitcoin begun 2018 priced at $13,400 and continued its down-trend to end the year, hitting a low of $3860. Although it’s difficult to judge in hindsight, the drastic decline in price made it apparent that cryptocurrencies are on their way out of a major bubble, a bubble caused by the extremely speculated and overhyped ICO market. Over the years, the ICO market was driven by overhyped, speculative concepts, most of which have revealed themselves impossible to achieve or impractical in providing added value, categorizing them as crypto people would say ‘scams’ or ‘ded’. The bleeding token prices would suggest that the entire industry is going backwards, but this isn’t the case at all. A recent report released by LinkedIn (https://economicgraph.linkedin.com/en-us/research/linkedin-2018-emerging-jobs-report) states that the blockchain industry is the largest growing job sector, with blockchain developers at the top at the list of emerging jobs with a 3300% growth in 2018. It’s safe to say that even though cryptocurrencies have greatly devalued in price, blockchain has significantly advanced in terms of technology and use cases. The main thing to take away from 2018 is that the blockchain industry doesn’t need ICO’s, the token market has proven that. The industry needs functioning products which add value and solve real-world issues. 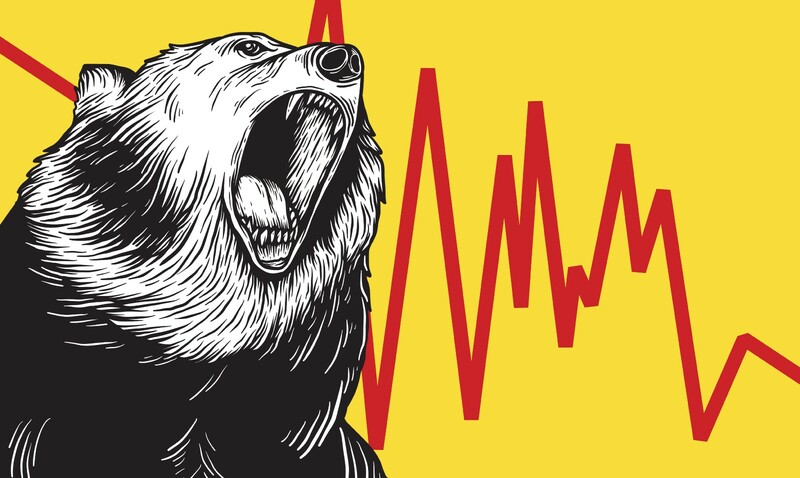 Many investors were compelled to find a hedge against the volatile bear market, hence why stablecoins became the talk of the town. Stablecoins are tokens meant to have a stable value, as is self evident in the name. The most common type of stablecoins are tokens backed by real-world assets not subject to extreme price volatility. The increasing demand for secure stablecoin solutions triggered an influx of new stablecoin innovations to be developed. Although they follow the same concept, all these new tokens function on different systems and are backed with a variety of different commodities ranging from diamonds, gold, silver and oil to property and so on. Aside from acting as a hedge from volatile markets, stablecoins have the ability to add huge value to real-world issues such as providing a stable monetary system in emerging and disrupted markets. This is a use case cryptocurrencies became popular off of: banking the unbanked. As people are starting to learn that you can build a blockchain startup without necessarily having an ‘utility token’’, forcing a token use case is no longer at the top of the list for blockchain entrepreneurs. We argue that that is a great thing. What will happen is that products that bring forward actual blockchain use cases, even outside of the fintech space, will start to emerge. From identity management and user-owned data to provenance and land titles, we’re excited to see them all. Most of the tech world is hoping that 2019 is the year blockchain becomes a mainstream and value-first technology, we stand right beside that. AurusGOLD (AWG) is a fintech organisation that seems to be on the right track. Aurus is creating a globally-viable token backed by gold. The system also operates a second token (AWX), which represents a revenue sharing stream from their flagship AurusGOLD (AWG) fees. 2018 was dominated with money first product second ICOs, a concept we haven’t stood by from the very beginning. Aurus believes in a product first money second strategy and will therefore launch like companies used to do before the token hype. We’ve discovered that cryptocurrencies are not for speculating, they should be created purely to solve real world issues, which is exactly what we’re focusing on. Our unique vision and approach to the problems we strive to solve makes us stand out. We realised that making a digital currency that’s backed by our own gold and selling it ourselves doesn’t scale efficiently, given the innate small profit margins of selling gold derived from the tremendous liquidity the gold market has. We decided to focus on our core competence: tech. Aurus enables esteemed members of the gold industry to provide gold to the ecosystem. These parties mint AWG themselves using the Aurus protocol and sell it themselves or through a network of distributors to the open, free market. Aurus, as a company, doesn’t intervene in the selling of AWG and doesn’t run its own books. While this is being more complex to launch, it’s a much more sustainable and scalable system. Our long term vision with AWX is to become a DAO, where the community proposes updates to the protocol and the company itself becomes irrelevant, achieving a truly global, fair and transparent system that’s in line with the blockchain philosophy. To walk the talk, Aurus attended the LBMA Precious Metals Conference in Boston where we met with heavyweights from the gold and financial industry to talk about our concept. We networked with everyone from enthusiasts that loved the idea of seeing a digital version of gold to crypto skepticists and begun on-boarding partnerships which we deem crucial in the success of our venture. There certainly is a lot that happened last year, but what have we learned from it? We’re proud to have foreseen the overhyped 2018 ICO market and maintain focus on creating real value rather than joining it. We now understand that in the long run creating value will always outweigh creating hype. We understand that this industry is just as new to everyone involved and that the only way to get ahead is by actively adjusting to the mistakes of others. We’re going to continue perfecting the framework for the digitalisation of commodities until being able to fill the product requirements that can offer a real world solution to the underbanked. With our bar set high we’re confident to say, even prior to launch, that we’re already gearing up the to be known in all corners of the world as market leaders. Let’s see what 2019 has in store for us.